Did you notice the hot deal available through Checkout 51 this week? 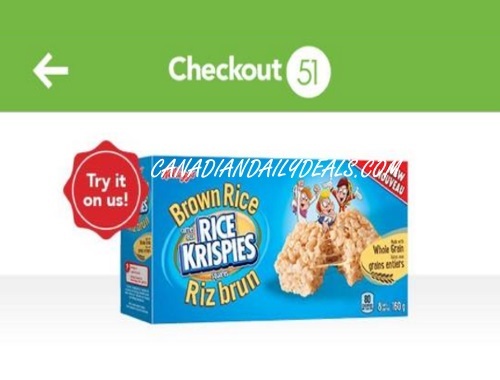 When you buy Kellogg's Rice Krispies Brown Rice you can get $3.49 cashback through the Checkout 51 app, that essentially makes it free with the possibility of overage since this item is sold for much less than that at some retailers! This offer applies on the 160g box. There is a limit of 1 per Checkout 51 member. And the cashback requires barcode verification when you claim it. Offer available while quantities last, and only available during this week's rebate offers. Click here to join Checkout 51/go to the Checkout 51 app.